To make this recipe start by placing apple cider vinegar, lemon juice, oregano, salt and pepper into a small bowl. Mix until well combined, then set aside. 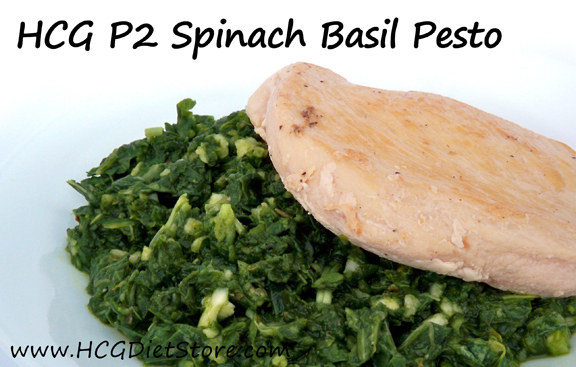 Place spinach, basil, and garlic into a blender or food processor. Pulse a few times. Slowly add the liquid mixture in a constant stream while the food processor or blender is on. Stop and scrape the edges of the container to get all pesto mixture towards the bottom. Pulse a few more time until you reached a paste-like texture. This recipe is great when accompanied by grilled chicken or steak. This Recipe counts as 1 vegetable serving, and all of your daily allotment of lemon juice.